Altice, a network operator active in the U.S. and across Europe, is betting on French company Sigfox to expand its machine-to-machine business even as it tests LTE-M, a narrowband version of the 4G standard slimmed down for the Internet of Things. One technology it won't touch, though, is LoRa, the fledgling standard backed by a number of mobile operators, including Orange and Bouygues Telecom, the main rivals of Altice's French subsidiary, SFR. 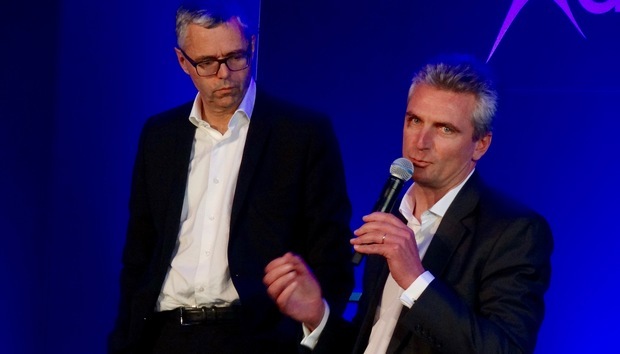 Machine-to-machine communications already constitute a significant market for Altice, which connects 5 million machines or objects via its cellular networks and has 2,600 enterprise clients in this field, company executives said Tuesday. Many of those connected objects are in buildings or vehicles, giving them ready access to power, and are near the urban centers on which 3G and 4G networks are focused. But connecting up the next billion devices in the Internet of Things will require a different approach than carriers have used to link smartphones and tablets to the Internet. For a start, it may not be possible to recharge the "things" that need connecting every night, and for another, those things often need tracking in remote places. Fortunately, most of these things don't browse Web pages or watch streaming video. The low bandwidth requirement makes it feasible for low-power devices to transmit over long distances, given the right networking technology. That technology needs to be ubiquitous, because low-powered devices can't spare the energy to search for the right frequency and then log on to the network when they are turned on in a new country and need to send a status update. Some companies are counting on industry standards to guarantee that ubiquity: The LoRa Alliance is working on one, while LTE-M is an another, a set of standards intended to carve an IoT-shaped niche in the technology used for existing 4G networks. Others, like Sigfox or Ingenu, are pushing proprietary technologies and seeking out partners to help them build coast-to-coast coverage. SFR is conducting a trial of LTE-M with Huawei Technologies and expects to complete it in the second half of this year. "That's a conservative estimate. The pilot is already well under way," said Michel Combes, COO of Altice and CEO of SFR, at a news conference on Tuesday. However, Altice won't even begin deploying LTE-M in any of its networks until some time in 2017 -- while its competitors, particularly in France, are deploying their IoT networks now. Orange, for example, began building its LoRa network last year and expects it to cover at least 17 major cities this year. Last week it said it will deploy 5,000 new LoRa relays across France in the form of connected lamps in employees' homes. Rather than play catch-up with LoRa or wait for the results of its LTE-M tests, Altice has decided to work with Sigfox, reselling that company's services in countries where they both have a presence. "It was important to us to have the best technology -- and it's already deployed," Combes said. Besides, said Altice's director of enterprise activities, Pascal Rialland, the LoRa Alliance's way of working had not convinced them it will be able to define a true standard. Sigfox, on the other hand, has deployed its wide-area, narrow-band radio technology across France and is rolling it out in other countries, often through partnerships with other operators. The radio protocol is proprietary but "licensed for free" to semiconductor manufacturers making compatible chips, cutting the cost for device makers, according to deputy managing director Xavier Drilhon. Altice also announced Tuesday that it is partnering with PTC Thingworx, which has built a software platform for developing apps to control and analyze the Internet of Things. Crowdsourcing Innovation: Bojan Smiljanic, Kodama Inc.